Take a wild walk into tropical Queensland and meet some of Australia’s most beautiful and unique feathered friends, as well as some native tropical frogs, butterflies and foliage. 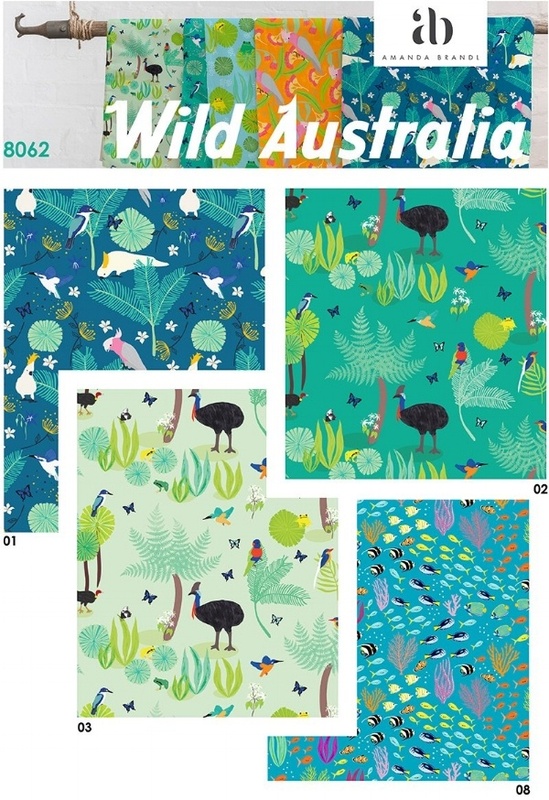 This Wild Australia collection features gorgeous galahs, cheeky cockatoos, colourful kingfishers, lovely lorikeets, and even the great giant cassowary! Get lost in the luscious Daintree rainforest print, or dive right in to the Great Barrier Reef print with it’s vividly coloured fish and coral. 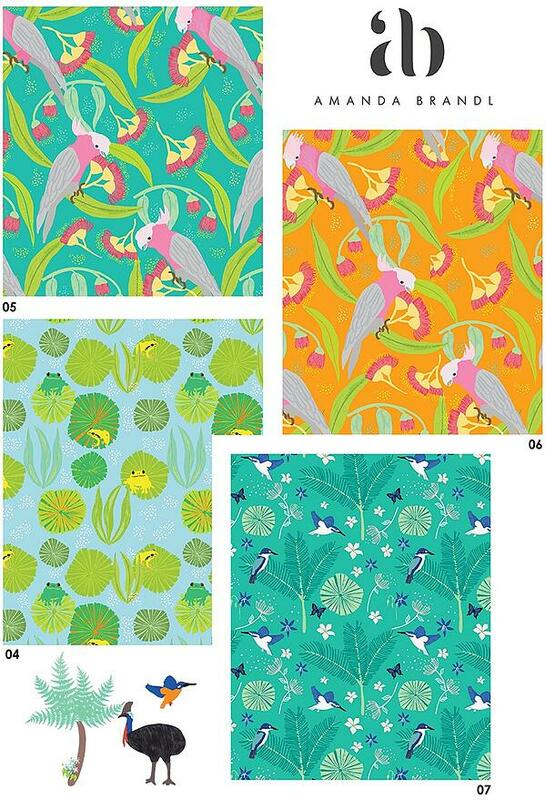 The fabrics also builds upon the best selling Taking Flight collection with some already known and loved feathered friends appearing. 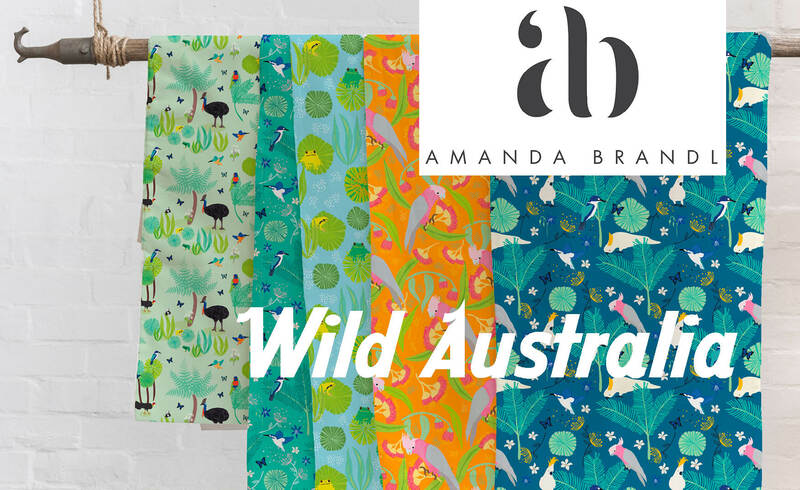 So many exciting projects can made with this tropical Australiana collection.